A generously sized garden bowl that has some unique features best sums up this planter. 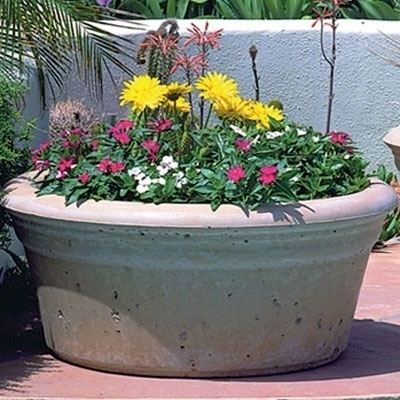 Tapered sides with a flared top, the rim is rounded and large Big enough to hold a bunch of flowers, small palms, green plant materials or cactus this container does it all. Simple in style but the small details make it extra special.